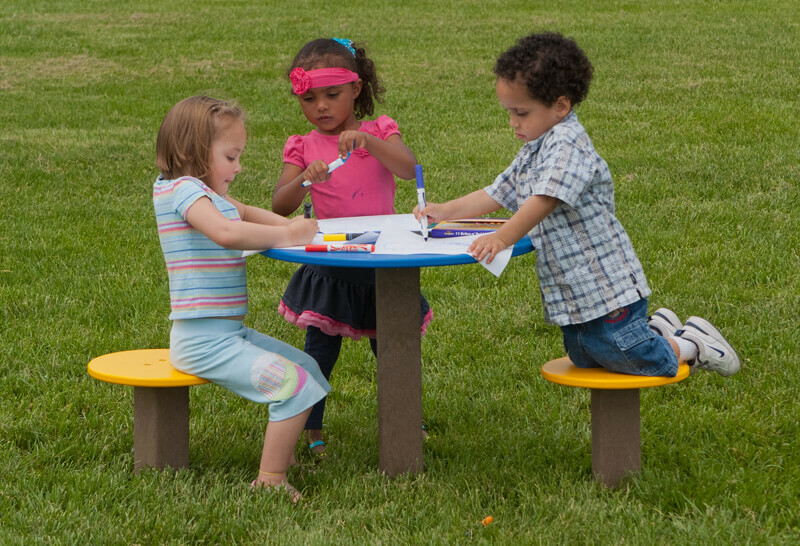 The Pedestal Table with (2) Seats is designed specifically for two children to have an interpersonal relationship while completing activities. 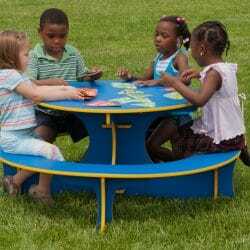 This table can be used for writing activities, manipulatives, snack time, lunch or just a place to sit and observe or socialize with friends. 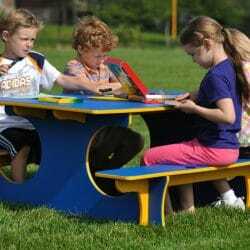 The Pedestal Table is also the perfect place to set up a learning center. 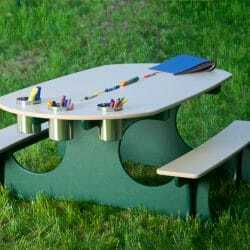 For example, set out some magnifying glasses, tweezers, journals and other manipulatives to create a science learning center and encourage preschool natural play. Table and seats are permanently mounted in the ground.